Fill a cocktail shaker with ice. Add vodka and liqueurs. Shake well. Strain into two chilled martini glasses. Drizzle a little half-and-half over the top of each. (It will sink to the bottom then raise to the top, creating a marbleized effect.) 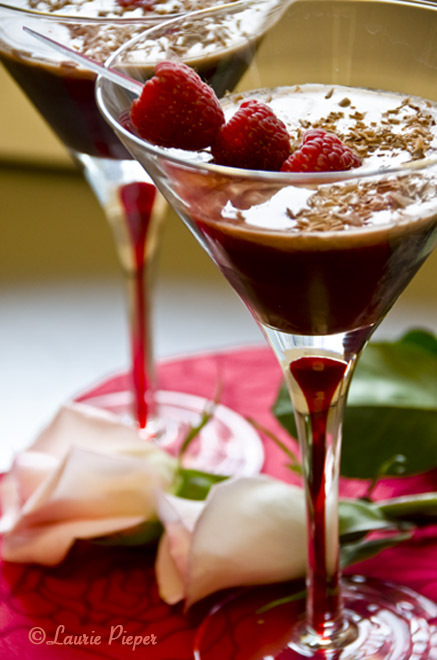 Shave a little chocolate over the top of each cocktail then garnish with fresh raspberries. Enjoy! Tips: Chill glasses in freezer for ten minutes before serving. Use chilled ingredients. The drink should be served very cold, but you do not want it diluted by melting ice. This entry was posted in Uncategorized and tagged Chocolate, Chocolate Liqueur, Cocktails, Desserts, Martinis, Photography, Raspberry, Raspberry Liqueur, Valentine's, Vodka. Bookmark the permalink. Sounds delicious – love the presentation it makes. Thanks, Mary! It is a very fun cocktail for Valentine’s Day. I hope that you are having a great day! Being that it’s 70 degrees out is a wonderful thing too – yes it been a lovely day. Reblogged this on Morning Star Weddings. Never got into martinis or mixed drinks. Sangria is about as fruity as I go. Enjoy Valentine’s Day. Happy Valentine’s Day to you as well. Wow, yum, and gorgeous! My bday is on Valentine’s Day. I’d much rather have something like this than cake. Thanks, Anne. I hope that you get a chance to try it : ) Happy Valentine’s Day! Wow.. those look wonderful!! I’m raising mine in a toast to you! Cheers! This looks wonderful — love the chocolate and raspberry combination! And it apparently must be a day for cocktails since I posted one today too, lol. Thank you, Kenley. I saw your post and agree that grapefruit margaritas are a fun twist on the traditional lime cocktail. 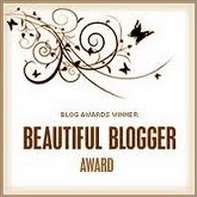 Love the shots and great blog you have! These look very decadent, just fedex me one across to England!